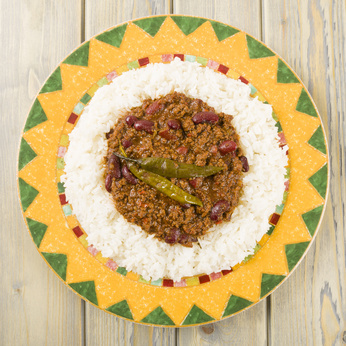 Quick, easy, relatively cheap and also great with taco shells or wrapped in tortillas – this chilli recipe is a firm family favourite. Chop onion and garlic, then soften for 5-10 minutes in olive oil. Add mince and brown evenly. Stir in tin of tomatoes and passata, and salt, pepper and chilli powder to taste. Drain kidney beans and add to the mixture. Simmer for 15 minutes while rice cooks. Large Family of the Week – The Mercer Family!